Originally built as a roller-skating rink, the BBC’s Maida Vale building was taken over by the corporation in 1934 as the principal location for the recording of its musical output. It contains six studios, some of which retain certain period features. The medium-sized Studio Three, for instance, still has what looks like its original art deco parquet floor, although the space occupied by the Necks and Evan Parker yesterday was covered by a large dark red rug. Midway through their European tour, the Necks were in Maida Vale on the morning of the last of their three sold-out nights at Cafe Oto because Philip Tagney, a producer of Radio 3’s Late Junction, is in the habit of putting together combinations of musicians who have not played together before. When he asked the Australian trio to nominate someone with whom they would like to record a session, they nominated Parker. Only their pianist, Chris Abrahams, had previously collaborated with the great saxophonist, on a short duo improvisation at the end of a concert at the Bath Festival about four years ago, after both had played solo sets. So the four of them met in the studio at 11 o’clock yesterday morning and, after a short warm-up, began the first of two collective improvisations. They started playing more or less simultaneously, and not surprisingly the first half of what turned out to be an hour-long piece contained passages in which it sounded as though they were waiting for something to happen, for someone to seize the initiative. Each member of the Necks has plenty of experience in free improvisation; however, having played together for more than a quarter of a century, it’s hardly surprising that they should fall naturally into certain patterns of response, and you could see and hear Parker looking for a way in. The last 20 minutes, however, contained moments of outstanding and surprisingly gentle beauty, Abrahams coaxing filigree from the studio’s Steinway, Lloyd Swanton plucking notes with the fingers of his left hand at the top of double bass’s fingerboard, Tony Buck adding cymbal washes with one hand and rapid strokes on his floor tom-tom with the mallet in the other, and Parker exhaling feathery tenor saxophone phrases (this was the Parker of his solo on Tony Oxley’s celebrated “Stone Garden”, a track from the drummer’s 1969 album, The Baptised Traveller). For the second piece, Swanton suggested using the Necks’ standard operating procedure, by which one of the players — it could be any of them — begins the piece with a repeated phrase of his choice, the others joining in when they feel ready. The bassist himself started this one off with double-stopped harmonics, Buck joining in with mallets on his snare drum (with the snare off), Parker — having switched to soprano — producing sustained notes with a hollow, reedy tone, and finally Abrahams entering to initiate a dialogue with the saxophonist, to which the others provided the backdrop of a thrumming, variable-speed bass ostinato and the soft clanking of a small Oriental cymbal struck with a mallet as it lay on the head of the floor tom-tom. The difference between this piece and its predecessor was apparent throughout, in the suggestion of a constant tonal centre and an underlying pulse (characteristics that set the Necks’ live performances apart from those of the majority of free improvisers). The music surged and ebbed as it often does when the Necks play in concert (and as it had done in both halves of the previous night’s performance at Cafe Oto), inviting Parker to move with it, using circular breathing to weave his skeins and flurries of sound in and out of the group tapestry. After 30 minutes the piece ended with a sudden and unexpected moment of grace: subdued clicks and squeals from the saxophone, growls from the lower end of the piano keyboard, the bassist letting his bow bounce off the strings, more cymbal splashes, and suddenly a silence that, while abrupt and unpremeditated, seemed completely logical. I made it to the second and third nights at the Cafe Oto, on Tuesday and Wednesday, each of which consisted of two long sets. The first of those nights was very enjoyable, particularly for a pair of very graceful endings, although the music contained nothing wildly unexpected. Wednesday’s music, however, seemed to come from a different place. Abrahams began the first set and dominated it throughout, maintaining a sense of unresolved harmony that kept the tension high. It was a powerful and beautifully shaped and proportioned performance, and during the intermission Buck said he thought that the experience of playing with Parker earlier in the day might have had something to do with it. The set that followed it was something else altogether. The previous night, as the music began in a mood of quiet, serene rumination, I’d been wondering what would happen if the group ever started one of their collective improvisations with a really loud opening statement. Now I know the answer. Buck set this one off this one with a triple-forte snare-drum rattle, announcing three-quarters of an hour of music that became brutal — almost harrowing — in its volume and emotional intensity. To follow the process by which they found their way out of the maelstrom and wound down to closure was an education in itself, followed by perhaps 10 seconds of transfixed silence in which every member of the audience was thinking, “Did I really just hear what I think I heard?” Then the applause came, and it didn’t want to stop. 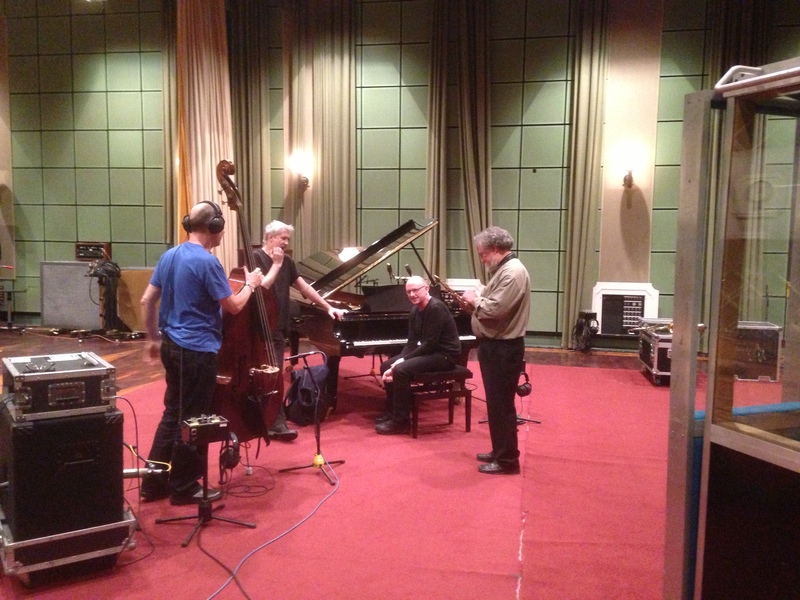 * The photograph above was taken before the start of the second improvisation at Maida Vale. Left to right: Lloyd Swanton, Tony Buck, Chris Abrahams and Evan Parker. An edited version of the session will be broadcast on Late Junction on Thursday, November 21. Part of Tuesday night’s performance at the Cafe Oto can be heard on Jazz on 3 next Monday, November 11. Parker died last week, aged 76, one of the last of his kind. “Watch Your Step” was a key recording of the early ’60s, particularly among young musicians forming beat groups. Like Howlin’ Wolf’s “Smokestack Lightning” or Muddy Waters’ “Hoochie Coochie Man”, it taught us the power of the riff and the power of distortion. Lots of people learnt and adapted Bobby Parker’s jolting two-bar figure, but none more effectively, to my mind, than Robbie Robertson when he was coming up with a lead guitar part for Bob Dylan’s “Tell Me, Momma” on that celebrated world tour in 1966. Parker was born in Lafayette, Louisiana, but spent most of his life in Washington DC, which is where “Watch Your Step” was recorded. A very nice obituary in the Washington Post tells his story, including the tale of an unsuccessful visit to the UK. It turns out that Parker got the idea for his riff from Dizzy Gillespie’s “Manteca”, which makes perfect sense — just like Pee Wee Ellis being inspired by Miles Davis’s “So What” when he came to finish off the James Brown jotting that became “Cold Sweat”. 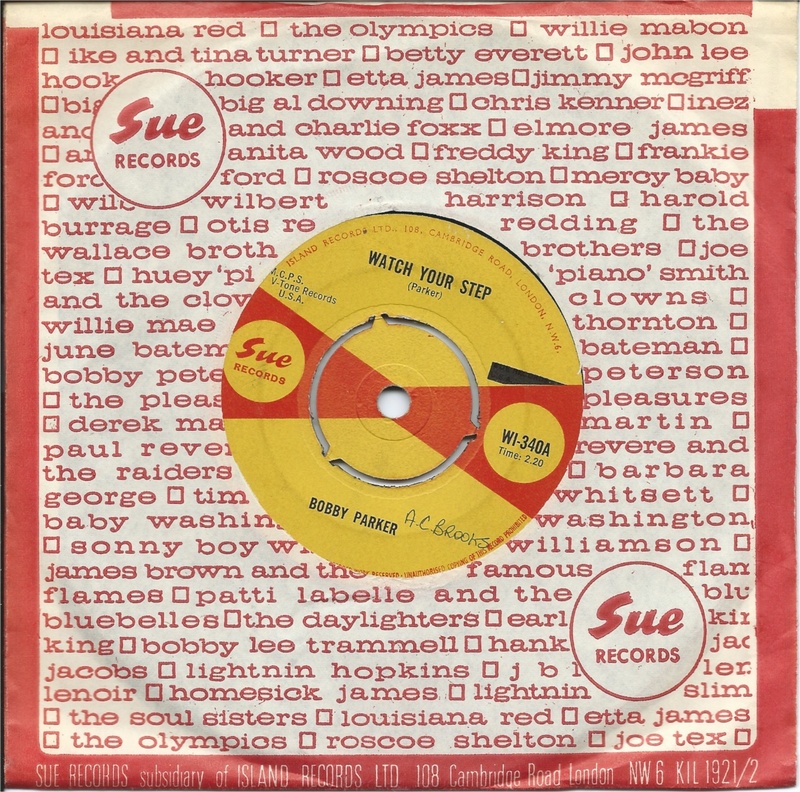 “Watch Your Step” was one of those rare great 45s that boasted an almost equally valuable B-side. “Steal Your Heart Away”, another Parker composition, was a slice of gospel-blues that would have fitted very nicely on to Ray Charles’s classic album The Genius Sings the Blues, alongside “I Believe to My Soul”. Parker sold both copyrights for practically nothing to Ivan Mogull, the owner of V-Tone, so he never received the rewards he deserved, or the status to bring him level with such contemporaries as Albert and Freddie King. 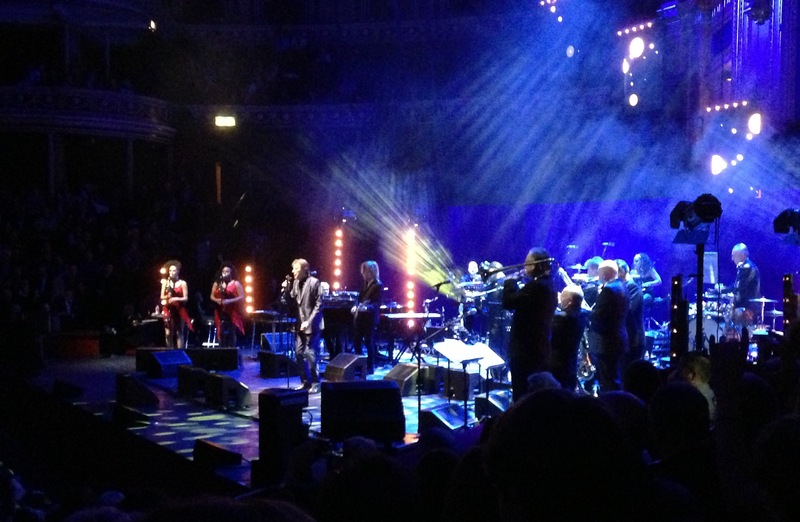 But we’re still listening to him, and marvelling at the sound he made. If I had to nominate the most interesting jazz composer to emerge from the European scene in the past 60 years, the list would certainly include Krzysztof Komeda, Andre Hodeir and Mike Westbrook. But in the end I’d probably settle for a musician hardly known outside his native country, and virtually not at all in Britain: the 84-year-old Giorgio Gaslini, who was a product of the bebop era and made his first recordings in 1948 but remains in possession of a mind so open and inquisitive that his catalogue includes albums devoted to solo piano recitals of the music of Sun Ra, John Coltrane and Albert Ayler. In 1960 Gaslini wrote and recorded the music for Michelangelo Antonioni’s masterpiece La Notte. Five years later he made a record called Nuovi Sentimenti (New Feelings), with a band including Don Cherry, Steve Lacy, Gato Barbieri, two bassists and two drummers: an early example of a European musician embracing the avant garde. Since then he has written and recorded music in just about every conceivable format, from solos and duos through a regular quartet that featured the fine Italian tenorist Gianni Bedori, to quintets, sextets, septets, octets and many kinds of large ensemble; he has composed jazz pieces for his own big band and the Italian Instabile Orchestra, symphonies, choral pieces, ballet scores, and an opera called Colloquio per Malcolm X. 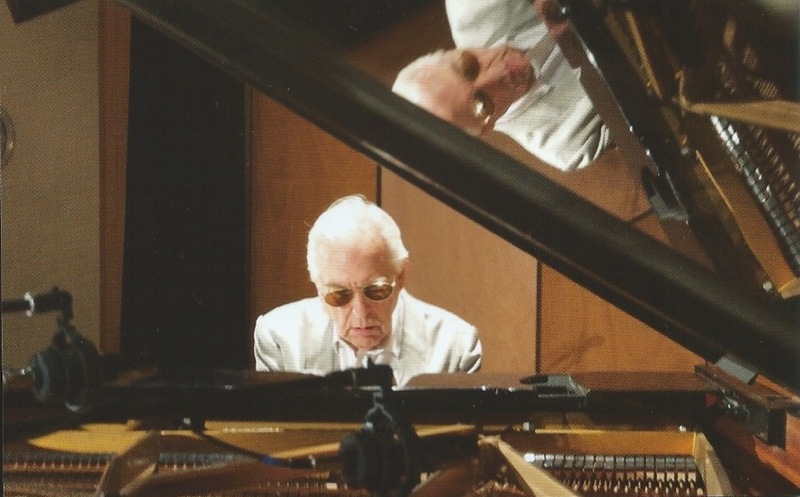 His most recent release, a set of solo piano pieces titled Incanti, appeared on the CamJazz label in 2011. Recorded at a concert in Messina, it featured his improvised meditations on classical pieces by Monteverdi, Faure, Tchaikovsky, Bartok and others, and it was among my favourite albums of that year, thanks not least to a magical version of Handel’s aria “Lascia ch’io piange”: four minutes and 49 seconds of magically understated beauty. Gaslini has spent much of his time as an eminent teacher at conservatories in Rome and Milan, but he’s also made a huge number of records over the years, and it doesn’t take much effort to find quite a decent proportion of them. In 1997 the Italian label Soul Note issued a pair of two-CD sets documenting his early work, starting with a 1948 piano trio version of the bop classic “Ow!” and including the soundtrack to La Notte and the fantastic Nuovi Sentimenti. Ten years later they issued two more, devoted to his work with various ensembles between 1968 and 1974. Now another Italian label, Dischi della Quercia, has filled in a large gap in his recent output by issuing a box containing 11 albums recorded between 1976 and 1985, all remastered and packaged in card facsimiles of their original sleeves. For your £40 you get a great deal of music, much of of it excellent and some of it a great deal more than that. To my ears, the least interesting items are the duo albums with Roswell Rudd, Eddie Gomez and Anthony Braxton. Two album-length suites for octet, Indian Suite and Monodrama, are uneven, but contain interesting passages. There is a very nice quartet album — another suite — called Murales, featuring Bedori, and a decent quintet set recorded live at New York’s Public Theatre; you can hear the influence of Monk on Gaslini’s angular, playful tunes, but there’s never a sense of imitation. The most fully realised music, however, is contained on the two albums devoted to a sextet he led in the late ’70s, with Bedori on tenor and soprano saxes, Gianluigi Trovesi on alto and soprano sax and bass clarinet, Paolo Damiani on double bass, Gianni Cazzola on drums and Luis Agudo on percussion. The first of them, dating from 1977, is called Free Actions and sounds today as fresh and compelling as any post-Coltrane jazz that was being played anywhere in the world at the time. Better than that: anyone listening to the brilliantly imaginative solos of Bedori and Trovesi against an active, hard-swinging ostinato figure during the fifth and final movement of the suite from which the album takes its name might well find themselves thinking of the current Wayne Shorter Quartet, and concluding that the Italians are not shamed by such an exalted comparison, even though they were making their music almost three and a half decades ago. The second sextet album, Graffiti, was recorded live in Milan the following year and is almost as good: just four and a half stars against the five of its predecessor, you might say. Again it’s a suite, and one of the movements — called “Soul Street” — brilliantly captures the spirit of the Charles Mingus of East Coasting and Jazz Portraits. It’s also in this track that Gaslini’s piano solo demonstrates how well he can blend the free with the funky. Once again Bedori and Trovesi are outstanding throughout, while Damiani’s sinewy bass lines remind me of his British contemporary, the late, lamented Jeff Clyne. Once you enter Giorgio Gaslini’s world, there’s a lot to discover. How nice it would be if, even at this late stage, somebody gave him the chance to show British audiences what he can do. * The photograph of Giorgio Gaslini is from the sleeve of Incanti and was taken by KDPhoto.